With the surplus inventory of homes available in the average price range for most any city or town in Metro Indianapolis, how do you make your property stand out? 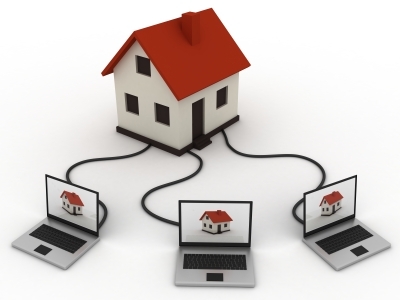 Today's home buyer is online, checking out your home. Times have changed and very few home buyers drive around to look at homes or attend open houses. They can find much of the information they need online. Once they have the information, they will drive by neighborhoods or contact a real estate agent. The #1 request I receive from online visitors, besides scheduling showings is for more pictures. We live in a society where time is valued and people just won’t drive by your house if there are not pictures online, unless you are selling for a steal. I’m not talking about steals or bank owned homes, though. I’m specifically talking about the average priced home sold in your city or town. A home where you want to sell for top dollar. Having pictures online seems obvious, but it’s the timing of the pictures I believe makes a difference. Just as you have prepared your home for the market, your marketing must be complete - before you list your home. More precisely, before it goes in the local Indianapolis MLS. There are a quick procession of things that happen once your home is listed on the MLS. It is a proven fact that a home attracts the most attention when it is first listed. It goes without saying, your home should be “newsworthy” when it hits the press. Did you know when your home is first listed, it will be sent to every buyer signed up on any website as a new listing, if it is in their price range and/or has the amenities they are looking for? The only other time that happens is when there is a price change, then it goes to a different set of buyers in your new price range, usually a reduced price. You’ve heard the saying, you only have one opportunity to make the best first impression and the same can be said of your home. When your home hits the market, it should be fully marketed. The pictures should be in place, any video should be created, flyers and home information in the home, postcards sent out, ads created, etc. Never put a home on the market before it’s time! I believe that is the #1 key for marketing a home to sell. The biggest tip I could give people is to rent a storage room or find a friend with a basement and put half of the stuff you have out of sight. The less clutter the larger the home will look and the perceived value will be much higher. If it looks like there are only a few feet of walking space that is even worse than just normal clutter. Get a professional to help you clean it out first. Agreed Denise! I always suggest my clients pack up anything they can live without. All of this needs to be completed before we even begin to market the home. Yes, I remember even 7 years ago when I was in the market to buy the importance of pictures, especially if your pictures portray an attractive home. Get them out there and on the site. Otherwise, you're just short changing yourself and the home you're trying to sell. Thanks for the info! I'm in the process of buying a condo and learning a lot about real estate - all so fascinating! Great post, Paula. We do love photos and videos of properties! Steve - Back then we didn't even have the great technology we have today for pictures, virtual tours and video. All the more reason for a home to be made available online with great marketing. Debbie - good luck in your search for a new place to call home! I'd love to know if you are searching online and how much pictures and video play a part in your decision to look at a home. Sally - Pictures and video make a home come alive. Thanks for stopping by! 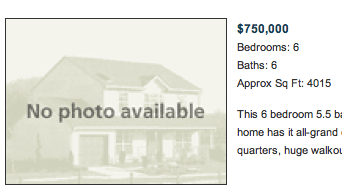 I am currently looking at Dallas Real Estate and am considering whether to rent or buy. Since I am still on the east coast, I depend on websites in my search. Any listing that does not have pictures I just skip over. In reality, I could be missing out on my dream house. I wish people would understand that some people are not local and depend on pictures and videos in order to evaluate a house.